For best price deals to Bintan, Whatsapp 93900052 OR PM/chat to WeekendGoWhere facebook page OR call +65 6358 4231 (9am to 6pm). 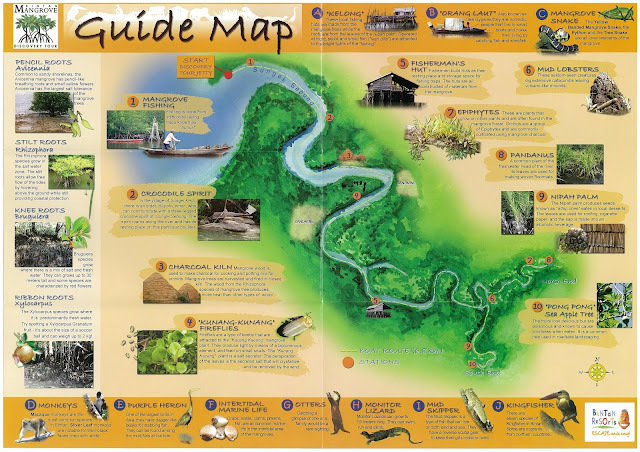 Bintan has always been regarded as an island for its beautiful scenic resorts. 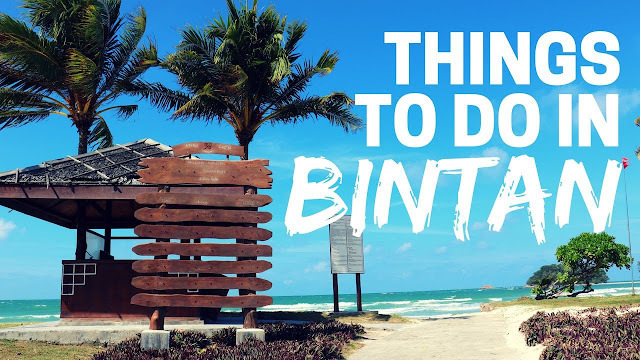 In reality, Bintan has so much more to offer to the world, and it is time for us to rediscover the hidden gems within the island. 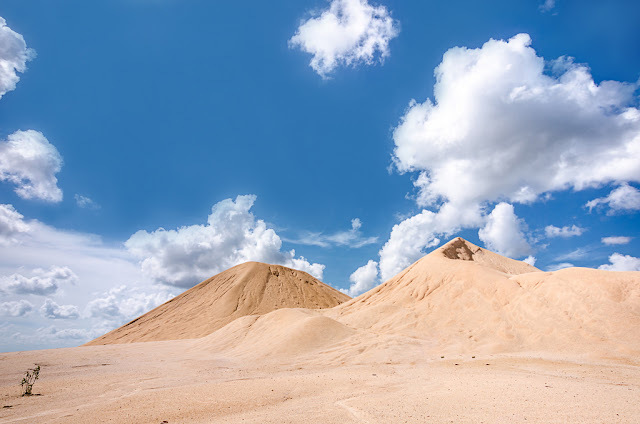 With almost everyone using Instagram nowadays, you would most likely have seen pictures of beautiful sand dunes that your friends have tagged. Don't think for a second that they flew halfway across the world for those pictures. 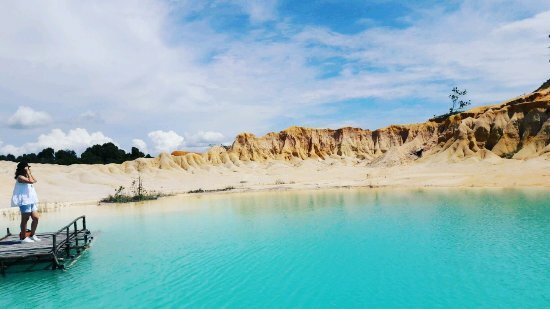 In actual fact most of those pictures were taken at Gurun Pasir Busung, Bintan Desert. 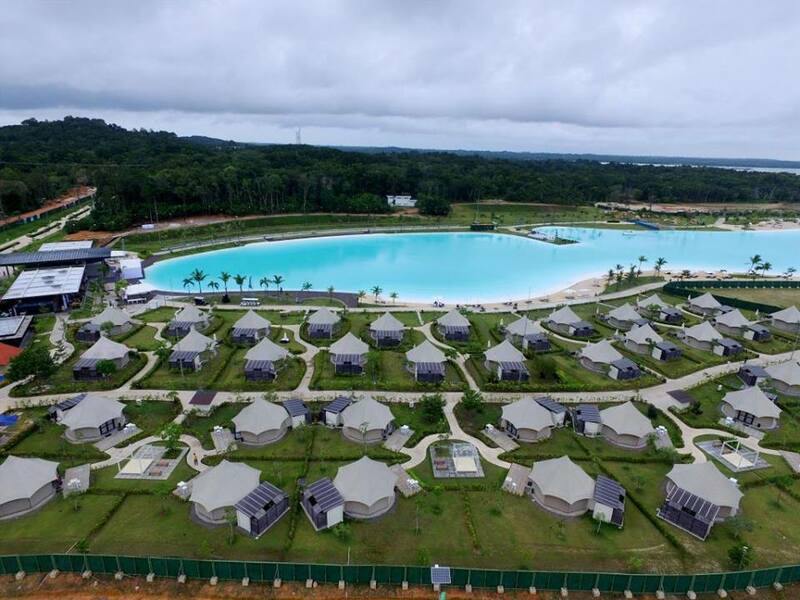 Which have many calling it the Sahara Desert of Bintan. 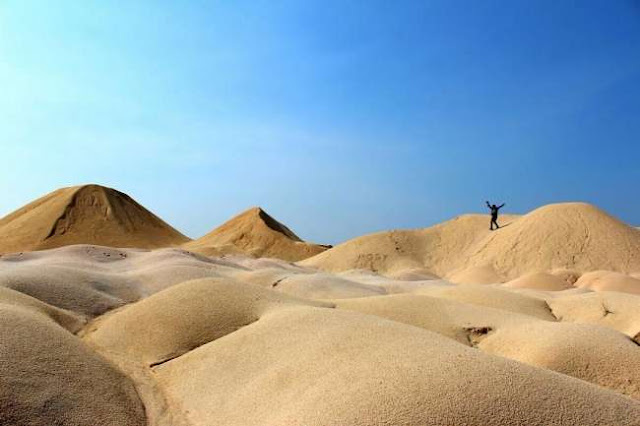 It has even been termed as an "Instagram worthy" photo taking spot, and many Singaporeans are specifically making the trip over just to have their breath's taken away by the picturesque sand dunes. And the best thing about having pictures taken here? You would not need to edit or slap on a filter for the picture!! To top it off there is even a crystal clear blue lagoon conveniently situated just by the side. Ever sat in an airplane and wondered how it would feel to be on the other side of it or how it would feel to touch the clouds? 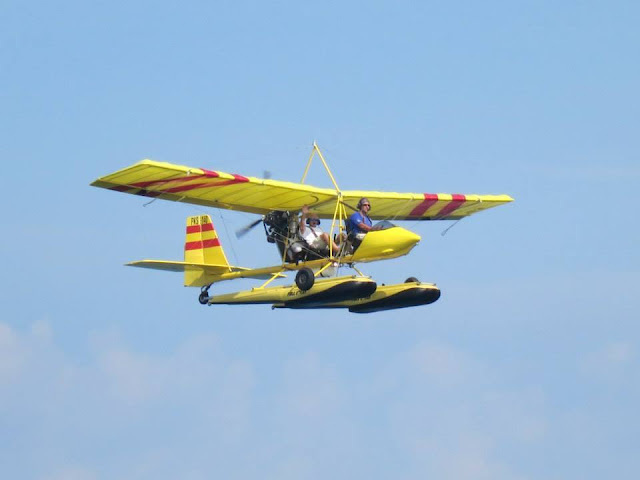 Over here you get to sit in an amphibious open cockpit aircraft, Its very much like how a convertible is to a sedan. 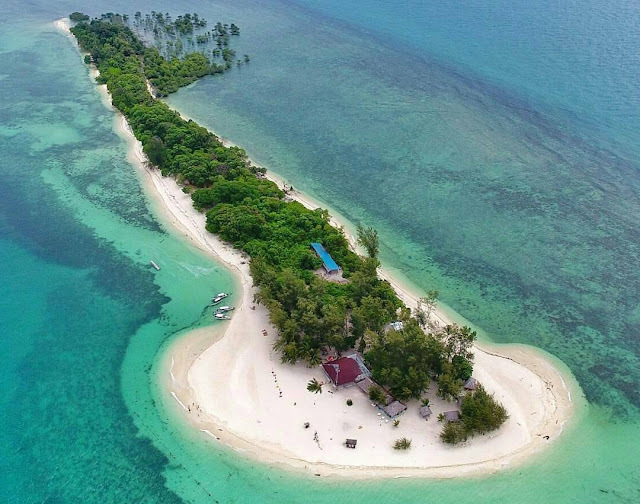 You not only get to feel the the wind directly against yourself, you also get an unobstructed view of the entire island of Bintan. 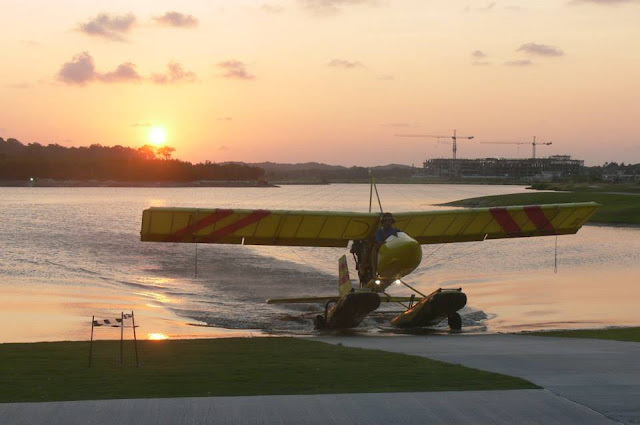 Imagine the airplane you're in landing on the water!! It would be an exhilarating experience. 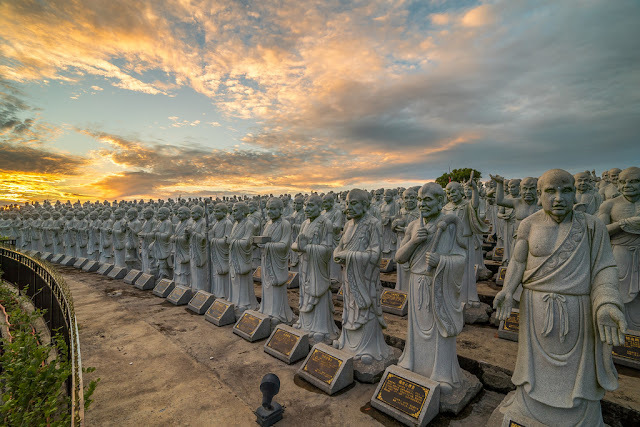 It is definitely a sight to witness a whopping total of 500 unique life-sized stone statues nicely lined up spread over a wide area. You may even see familiar faces such as General "Guan Yu" and "Tripitaka". 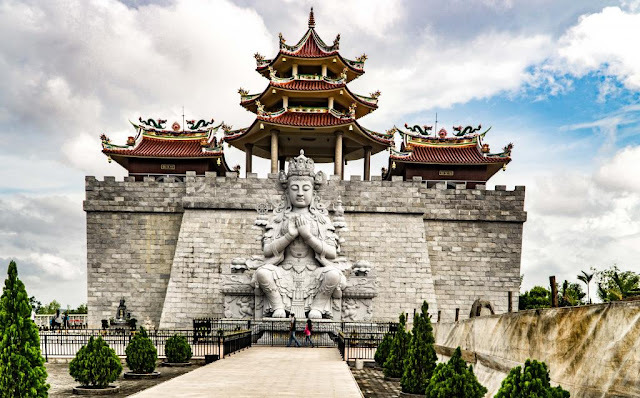 Being in the temple makes yourself feel that you have been transported back into the Chinese dynasty, and along with it comes a sense of peace and calmness that cannot be explained. Ever wondered how it felt to be on a private island separated from the rest? Feels like something out of the television series "Lost". 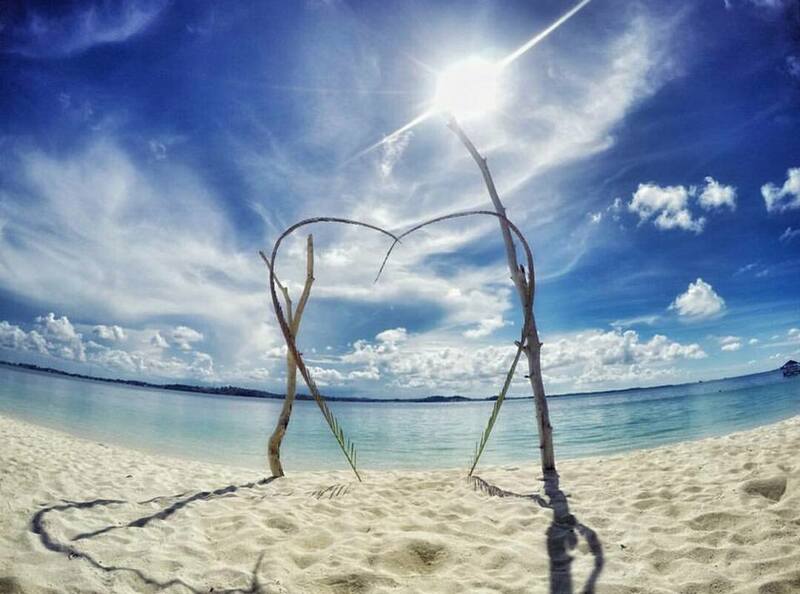 White Sands Island is able to provide you with the closest thing. The main difference being that is has clear waters, beautiful fine white sands and many picturesque photograph opportunities. 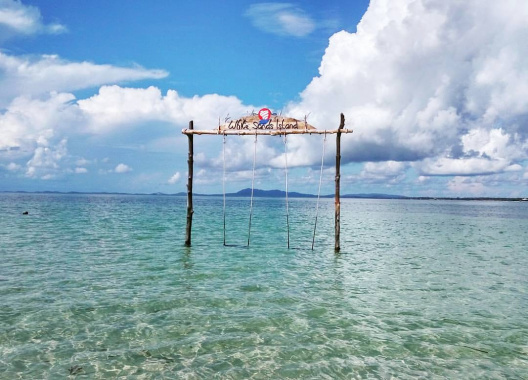 The island is surrounded by an immersed in nature vibe that boasts a very calm laid back atmosphere, where you would just want to be lying down and staring into the ocean. Picture camping!! Now picture camping with a proper bed, air conditioning, sofas and even your own personal bathroom. 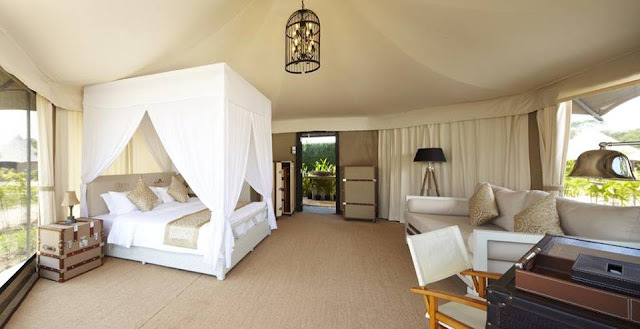 Glamping (Glamorous camping) The Canopi is an extremely popular 5 star resort that is almost always fully booked. The resort has its own 338 hectare adventure ground that includes a private mangrove river, sea and even a crystal lagoon!! The Canopi is the perfect place for a gathering of friends and families to hang out and to enjoy their weekends. Being awoken by the morning sunrise and falling asleep under the stars are both one of the most perfect things in the world. 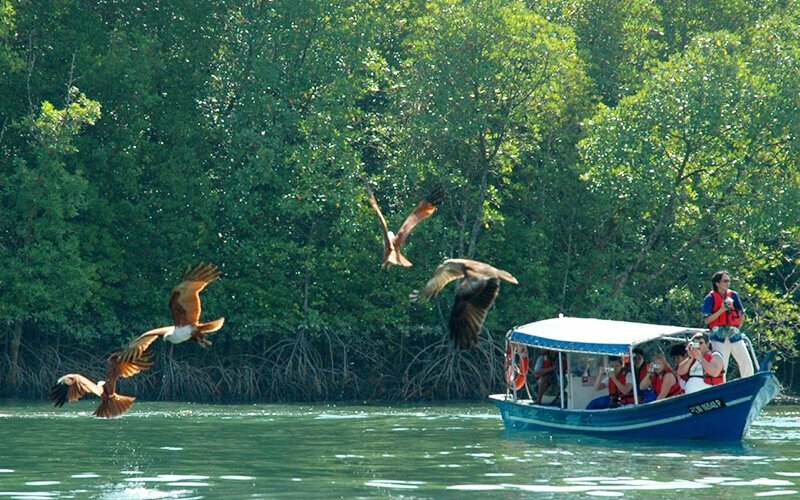 Not only that, there are many water and land activities offered at the resort. The perfect combination of fun and leisure. 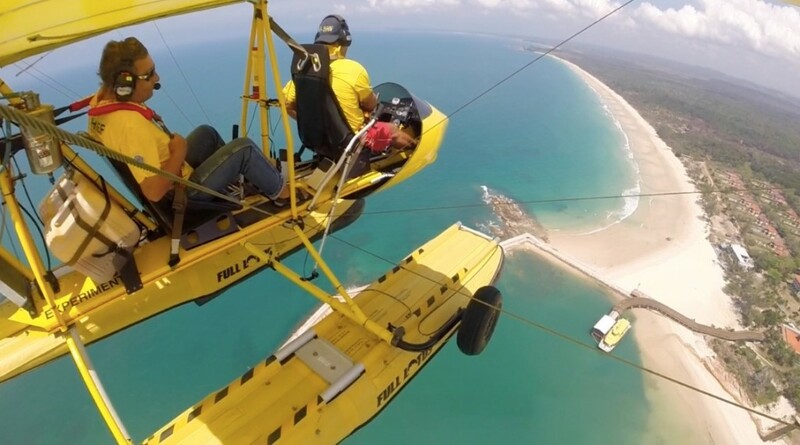 A once in a lifetime experience that EVERYBODY should try! 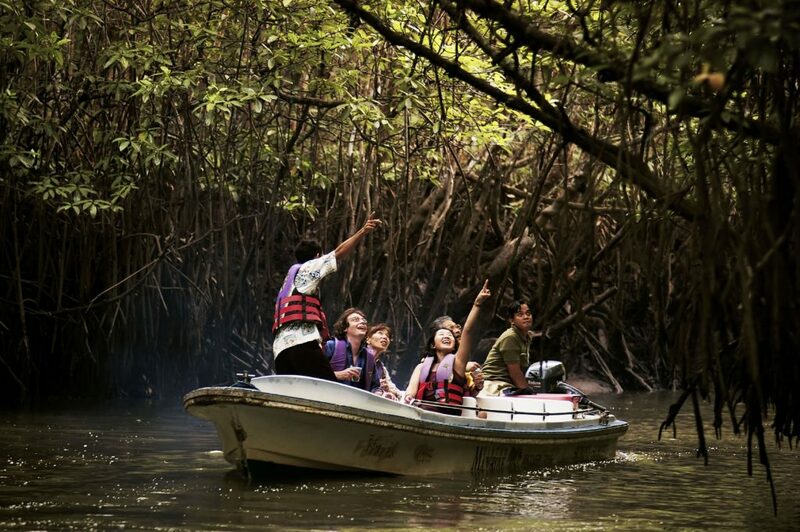 Bintan is well known for its dense mangrove forest and it is a sight to behold to see the reflections of the mangroves reflect off the river. 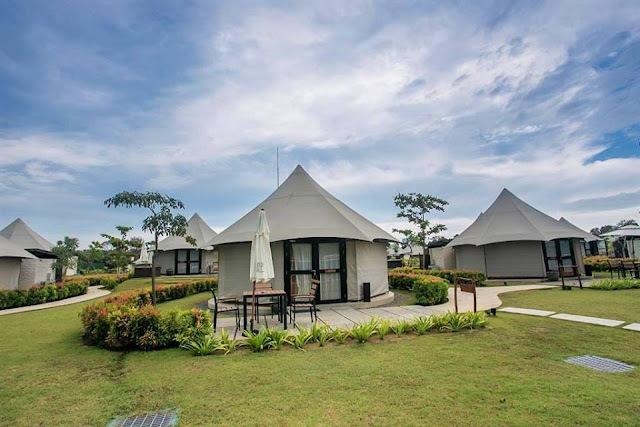 With the holiday season in the air, time to pack those bags and head over to Bintan for a fun filled exciting weekend. Weekendgowhere offers many resorts to Bintan; Bintan Lagoon Resort, Nirwana Resort, The Canopi and many more. Feel free to proceed to our website for unbelievable deals and promotions. THERE WILL BE NO REGRETS!